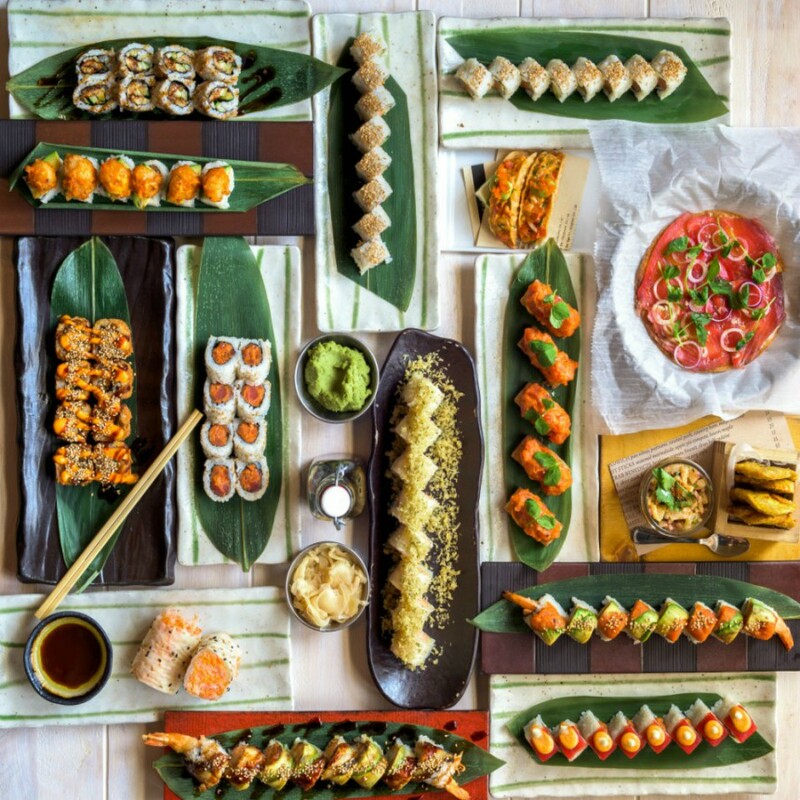 Pubbelly Sushi, the eclectic concept from acclaimed chef and restaurateur Jose Mendin, has made a splash across South Florida offering innovative Asian dishes complemented with Latin and global flavors. Last year, the brand debuted a grab-and-go concept at Aventura Mall, with Pubbelly Sushi Market receiving rave reviews from shoppers. Now, the sushi sensation is rolling into Aventura Mall’s new expansion wing in a big way, and the experience is not to be missed. Featuring an urban, laid-back setting, the new Pubbelly Sushi at Aventura Mall offers indoor seating, as well outdoor dining overlooking the Arts Aventura Mall pieces: Aventura Slide Tower and Gorillas in the Mist. The sure-to-please menu includes bold, genre-defying flavors that have been known to leave guests wanting more. Dishes can be selected from the robata grill including octopus with spicy lemongrass and crispy garlic, miso black cod with charred spring onions, and pork belly with orange peel and tobanjan. For those craving a creatively constructed sushi roll, the butter krab roll, bigeye tuna, and wagyu beef tartare are a few crowd favorites. The restaurant also features an assortment of mouthwatering desserts including its popular chocolate miso bread pudding. The beverage program offers wine, beer and sake, as well as sake cocktails including the Lucky Kat and the Bloody Geisha. Pubbelly Sushi is located on the lower level of the new wing, open daily from 11:30am to 11pm. The restaurant will host Happy Hour daily from 4pm to 7pm, and a Late Night Happy Hour Sunday through Thursday from 10pm to closing.